Have you ever dreamed of flying? Now you can! 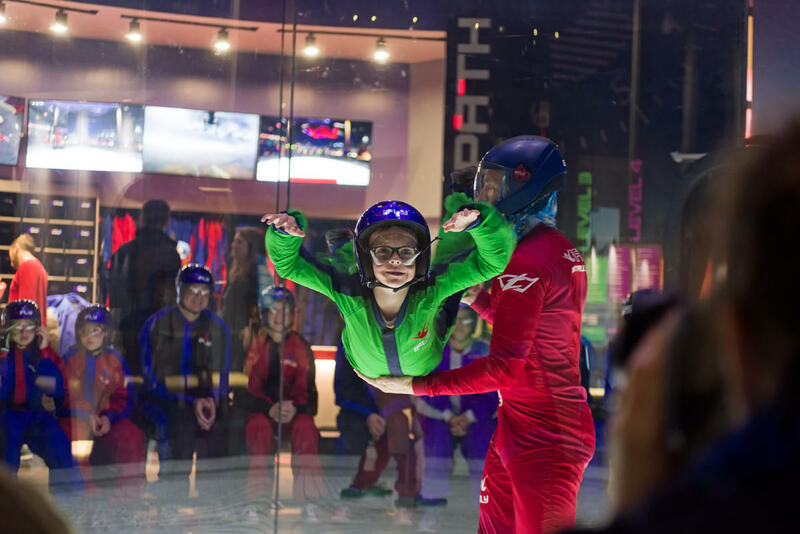 Discover your wings at iFLY - Overland Park's indoor skydiving experience. 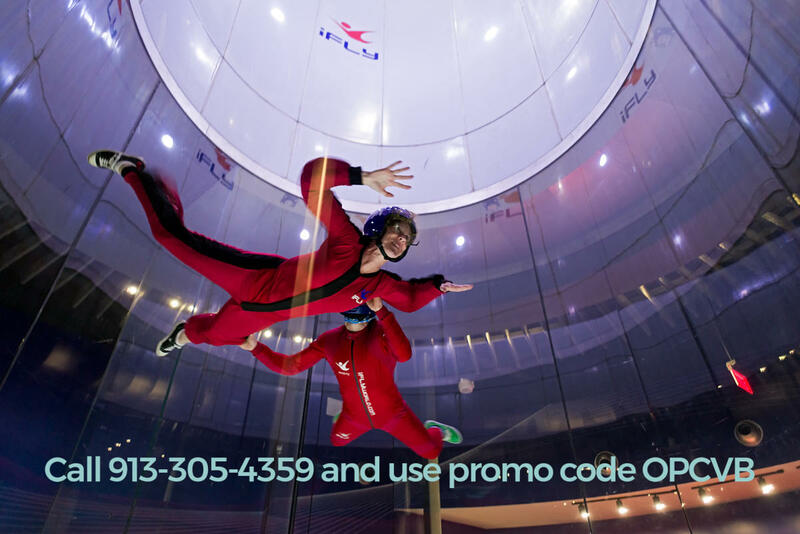 iFly gives fliers a chance to experience the thrill and adrenaline rush of skydiving in a fun and safe indoor environment. Instructors provide some brief training and then suit you up for flight. 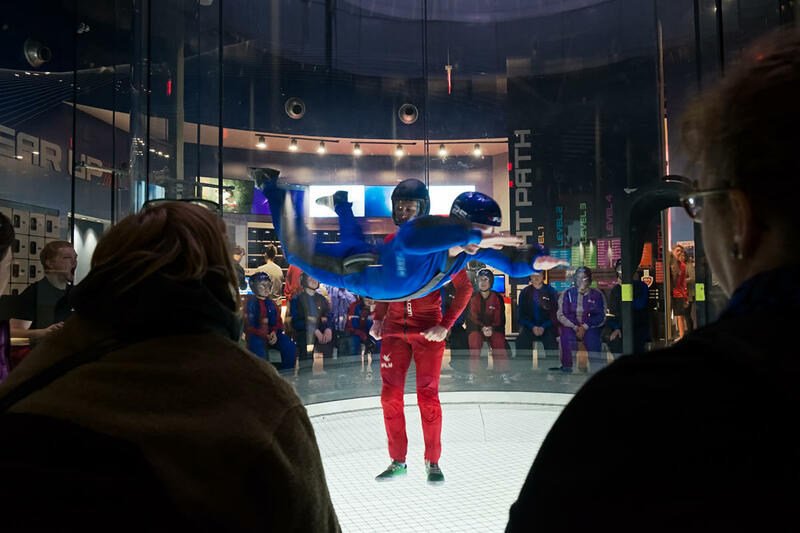 The instructors are there to help first time flyers maximize the fun as you feel the sensation of free fall in the two story wind tunnel. You'll be eager to suit up again after enjoying this amazing indoor skydiving experience! - After your flight, your instructor will show you some amazing moves in the wind tunnel - providing quite a show. - This attraction is open for people aged 3 and up. Some health issues may need to be considered - ask your flight instructor for more details. - iFLY is within walking distance of the Overland Park Convention Center. Group events are welcome.